Swiss cheese may refer to any cheese made in Switzerland. It is a hard pale yellow cheese with many holes due to the fermentation process which creates the cheese. The true swiss cheese is Swiss Emmental or Emmentaler. It has a creamy texture and large holes. The longer the cheese cures, the larger the holes will be. Swiss cheese can come in any size. It is a smooth hard cheese. It always has holes. Choosing: Select cheese that has not expired and contains no mold on it. Buying: Swiss cheese can be found at any grocery store, farmer's market, and gas stations. Procuring: Swiss cheese is made by processing the milk of cows. The milk is combined with rennet and bacteria then left to age for at least 4 months. Swiss cheese is excellent sliced, cubed, or grated. Slices can be placed on sandwiches. Swiss cheese is generally cubed as a snack. Grating is the preferred method when one wishes to melt swiss cheese. Cleaning: Cleaning is not generally necessary. Swiss cheese must remain refrigerated. 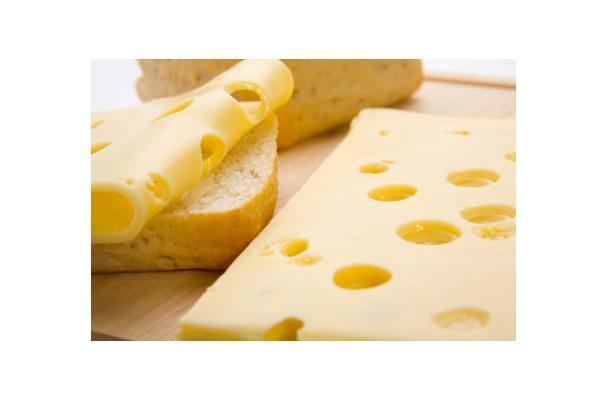 History: Swiss cheese is the generic name for cheeses similar to cheeses from Switzerland.